View the entire table of contents for the Feb. 28, 2001 issue. Italy's Top 50 James Suckling ranks the country's most exciting wines Angelo Gaja makes the most exciting wines in Italy. He has few equals in terms of his sheer determination and dedication to great winemaking. 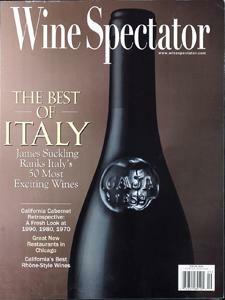 For the full article, check out the new issue of Wine Spectator, on newsstands February 28, 2001.